Studies on natural forms of healing are becoming more and more prevalent, though they are still pretty minimal compared to treatments that have been around for decades. In the osteoarthritis world, treating hip arthritis has proven to be more difficult than treating knee arthritis. Additionally, there are fewer studies on the treatment of hip arthritis as compared to the studies on treatment of knee osteoarthritis. A recent study came out comparing natural platelet rich plasma (PRP) with long time used hyaluronic acid (HA) and with a combination of PRP and HA. The results of this study were actually very surprising! After using the STAR™ Blocks to enter all of the information for each of the arms of the study, I was able to compare the actual effect of each one of the treatments. As you can see above, from top to bottom, are the HA alone, HA plus PRP and PRP STAR™ Blocks. It is clear by these comparisons that the PRP alone group had the best improvement in pain. You can also see that this was a highly rated study, as the study design and the quality of the study were great. Is it surprising, then, to see that all 3 arms of the study only ended up with a Treatment Grade of "E"? Such a low treatment score occurred with all 3 arms due to the low improvement in pain after 1 year. Even though all 3 treatments are safe, they are each pretty minimally effective for treating the pain associated with hip osteoarthritis. 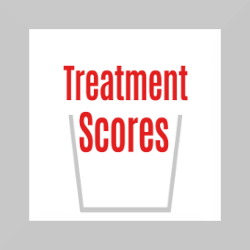 Here at treatment scores, we will continue to put a hard value on each treatment out there for every specific disease process. Until we have concrete numbers to compare different treatments to each other, it remains a difficult task to understand the actual benefits of each treatment. I like my dentist and have been going to him for many years. Last year, He used the DIAGNOdent laser diagnostic device and said I needed to have four cavities filled. The DIAGNOdent laser showed a cavity in each of my four wisdom teeth. This was troubling, since I brush and floss, and have almost never had a cavity as an adult, but now had four of them! I left the dentist dismayed and shocked. This technology, the DIAGNOdent, had discovered four cavities in my teeth. The last thing I wanted to do was have four teeth drilled and filled! That’s painful! Suffering in the dentist’s chair has never been easy. I decided to create a list of treatments for a cavity, and then figure out the Treatment Score for each one of those treatments. The first thing I learned was that the DIAGNOdent can find “microcavities” not “actual cavities.” A typical “cavity” diagnosed by vision or x-ray goes all the way through the enamel and into the dentin of the tooth. The DIAGNOdent laser is able to diagnose cavities that are “pits in the enamel,” but do not go through the enamel. Thus, they are called “microcavities.” They are also called “superficial cavities,” “surface caries,” “superficial caries,” “initial caries,” and “incipient carious lesions,” depending on how much of a stickler you want to be. 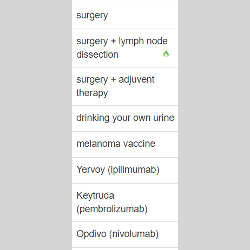 All these different terms are important, because their existence means that you have to search PubMed and other databases using all these different terms. The main point is that a microcavity affects the outer layer of the tooth, the enamel, only. DIAGNOdent readings can go from 0 to 99. I called KaVo Dental, because they make the DIAGNOdent to ask what a reading of 99 meant. They said it would mean that the cavity definitely goes all the way through the enamel into the dentin, but that your dentist should find and fix your cavities before they ever get that far. From reading medical articles, I became satisfied that the DIAGNOdent laser was a more sensitive method to detect microcavities than visual examination or x-rays. Great! Catch cavities early, drill and fill them, and all will be wonderful! Right? Not so fast. Science-based medicine means going to the medical literature and seeing what it says. After some more reading, I found out there are potential significant side effects to drilling and filling. Several articles theorized that when you drill through the enamel into the dentin to fill a cavity you increase the risk for tooth demise, because now you have a hole going all the way through the enamel and into the dentin of the tooth. That potentially opens up the inside of the tooth for bacterial contamination. Allegedly, every filling in your teeth, even if they are very superficial, put you at risk for more tooth deterioration, because the edges of the filling can be future spots for decay. As many people learn, fillings in your teeth do not necessarily last forever. What did I want to achieve? What was the important outcome for me? After even more reading, I decided that what was important to me was the long-term survival of my teeth. The survival of the tooth was the most objective and significant outcome measure that I could find. So, I wanted studies that focused on the long-term survival of the teeth. I wanted to be sure that whatever I did, that over the years, it increased the survival of my teeth instead of decreased the survival of my teeth. Many studies in medicine don’t go on for a lifetime, because that would be too expensive. So, I decided to look for five-year studies. I want to keep my teeth in my mouth forever if possible. I want them all to survive my entire life span, but I was willing to start with five years. What Treatment Scores did I come up with? All I found was “no data” = ND. This is why we need Treatment Scores. We need to quantify what we know and what we don’t know. In addition, we can reduce the time spent searching the medical literature from 20 hours to 2 minutes. Jon Brassey, BSc hits the nail on the head. The problem with the medical literature as it exists today is that it doesn’t answer most of our clinical questions. In reality, we only know a lot about the “tip of the treatment iceberg.” All the rest of the treatments are “under the water.” We know very little about their treatment effects. All these problems are why we invented Treatment Scores. We need to quantify medical treatments to find out what we know and what we don’t know. We need to start doing research to fill in the blanks. It’s my belief, that every practicing physician should be involved in clinical research. Believe it or not (I write sarcastically) it’s actually important that physicians, dentists, nurses, pharmacists, and everybody else know what they know and what they don’t know. So, what did I do? Since I had no five-year facts, only impressions, I ended up treating my microcavities with fluoride toothpaste. How did that turn out for me? The DIAGNOdent readings were exactly the same! The dentist remarked that now he leaves such microcavities alone unless the reading is over 40. The conventional wisdom, possibly the standard of care, and the medical literature have been changing over time. Fortunately, my dentist acknowledges change. I like the DIAGNOdent laser technology. I like the idea of finding cavities early and either following them, or treating them, depending on what seems to be the best thing to do using science-based medicine and shared decision-making with the dentist. The DIAGNOdent is an early warning system that you need to take better care of your teeth. Early diagnosis of microcavities, when you thought everything was perfectly fine, certainly motivates you to learn and actually do something, whether that something is “watchful waiting” or something else from your treatment list. This next year I’m going to watch my diet more carefully. I have Coca-Cola®, Mountain Dew®, orange juice, and sports drinks in my refrigerator. These drinks are all acidic and sugary. When I drink them, I’m going to dilute them with water and ice to try to reduce the pH level. I don’t want concentrated acid washing across my teeth anymore. I should consider quitting them altogether. I also drink black coffee which is supposed to be acidic. I actually bought some pH paper and tested several of the things in my refrigerator. Remember that a pH of 7 is neutral, and anything less than 7 is acidic. My testing was very crude and may not be accurate at all. You should look up the pH of things you drink on the Internet as there are some very good studies out there on the pH of various drinks. My coffee tested at pH equals 7, which I am suspicious about. I do make my coffee very weak, and perhaps I accidentally bought a brand of coffee that has a very low acid level. I do not consider my treatment plan for next year scientific. I’m going to go back and try to create Treatment Scores for shorter time periods and with different outcome measures. I will probably try to look at “cavity resolution,” meaning that the cavity disappears, and I will look for short term studies of six months or a year, because long-term studies don’t seem to exist. I will also try to find more information about the side effects. At first glance, hard data on the side effects seems to be lacking for the long-term. What are the side effects of fluoride intake? How many randomized controlled studies will I be able to find at one year of follow-up? Or at five years of follow-up? These are important clinical questions that need to be answered. If I don’t quantify fluoride as a treatment, how will I know how beneficial or dangerous it might be? The future of medicine will be Treatment Scores. Once the data has been organized in “Treatment Score fashion," automatic algorithms can be used to keep trying to improve the Treatment Score, or update the Treatment Score. Eventually, we will all understand treatments much better. Am I doing the right things? Will I save my teeth or lose my teeth? Have I missed anything? Until treatment quantification is perfected with Treatment Scores I will always have nagging doubts. At least for one year, science-based medicine and Treatment Scores have saved me from undergoing drilling and filling of four microcavities. The sad fact is that what we really need to know about medical treatments we often don’t know. It’s time to use health information technology for something that benefits both patients and doctors. We need to use health IT for Treatment Scores. This Procedure Works Great! Oh Wait, This Procedure Doesn’t Work at All! I recently read a thought provoking book, Cure: A Journey into The Science of Mind Over Body, by Jo Marchant, and I would recommend adding it to your reading list. A chapter in the book is about vertebroplasties, which are procedures done for vertebral compression fractures. Fractures of this sort can be miserable. Vertebral fractures occur when the bones of the spine become compressed; they are usually caused by trauma. They are most likely to happen in elderly patients with osteoporosis. They are painful and can severely limit mobility. I am an anesthesiologist and have done anesthesia for kyphoplasties, which are very similar procedures to vertebroplasties. A kyphoplasty is where a tube is placed into the vertebral body, a balloon is inserted and filled with cement. This elevates the fracture and stabilizes the bone with the goal being pain relief for the patient. In fact, I vividly remember doing anesthesia for two patients undergoing these procedures. Both patients had significant pain pre-operatively. They were both looking forward to the procedure and were expecting good results. When I saw them the day after their kyphoplasties, one of the patients had a lot less pain and felt great. The other patient still had some pain, but said it was decreased, and felt pretty good about having the procedure. This is all well and good except that when two randomized controlled studies were done comparing vertebroplasties vs. sham surgeries, they found that the sham surgeries worked just as well. (Studies have shown similar outcomes when comparing vertebroplasties to kyphoplasties.) 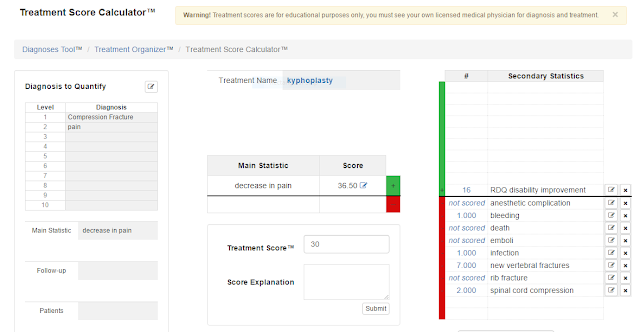 If we do a Treatment Score on sham surgery for compression fractures, the score turns out to be almost identical to the score for vertebroplasty as you can see from the Treatment Score Calculator™ below. It should be pointed out that these treatment Scores are in the immediate few days after the procedure. Over a longer time period, such as one year, there is no difference between having the procedure or medical management. Now being an anesthesiologist, I don’t get to decide who gets what procedure. That decision has already been made by the time the patient reaches me. My job is to get them through the procedure as safely as possible. Having a procedure that doesn’t work any better than a sham surgery raises a lot of questions. Should we even be doing these procedures? Most of the patients with these fractures have osteoporosis and are elderly with significant medical problems. From my point of view, they can have significant anesthetic risks. As mentioned, there are several side effects to these procedures. For instance, there may be a higher risk of compression fractures at other levels, there may be some “sintering of bone” leading to spinal stenosis. I have even heard of a case at another hospital where a patient woke up paralyzed and died a couple of months later. Should I have made my Treatment Score a 0 (zero) since any side effect is not tolerable for a procedure that works no better than a sham surgery? Why would anyone do a procedure that works no better than a sham procedure? Look at it this way, we have a patient who is in severe pain, unable to function, and all they want is to get better. Most of these patients will get better after this procedure. Medical management like braces and pain killers do not work as well. Do we need to tell patients that the procedure is no better than placebo knowing this will probably decrease the chance of them having a positive result? Some doctors can do these procedures in 15 or 20 minutes and others an hour and a half. Do we need to abandon the procedure if it is taking too long knowing the patient will probably get better anyway? There are a lot of issues here and a lot of questions. As most of you know all too well, this is very common in medicine. I am not going to be able to answer these questions here and that is not really what Treatment Scores are about. Treatment Scores allow us to know what is already known and it seems apparent that the sham procedure works just as well as the surgical procedure for the patients in the studies I looked at. It appears to me what we really need is a treatment that works just as well as the sham surgery and has less side effects. Maybe it will involve injection of stem cells or growth factors near the vertebral body. Who knows? I’m just speculating. However, I don’t know if anyone is really looking at the problem in that way and I think that will be another advantage of Treatment Scores. They will give us the ability to find out what is already known, and will make it more clearly apparent what is not known and what we need to find out. 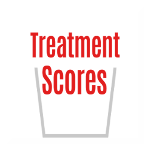 Treatment Scores will also help us to determine what we need to know better. The first studies of vertebroplasties were comparing the vertebroplasty group against patients getting medications and braces, but not surgery. Some of these were randomized and some were cohort studies. The Treatment Score would need to be lowered since the studies were not controlled against a sham surgical procedure. They were not truly controlled studies. With Treatment Scores this would be apparent and at least it would be possible to recognize up front some of the limitations of this treatment. We need to know what we know, know what we don’t know, and we need to know what we need to find out. Treatment Scores can do this. Join us, support us, and let’s keep the TREATMENT TRANSPARENCY movement going. I spent this past week at a regenerative medicine conference. What is regenerative medicine, you ask? Regenerative medicine is a relatively new branch of medicine dedicated to healing the body using it's own innate properties. There are many different types of regenerative treatments, including prolotherapy, platelet rich plasma, and stem cells. Regenerative medicine is an up and coming field of medicine, and it is growing rapidly. As society becomes less and less comfortable with taking typical medications that are prescribed, more and more people are turning to natural forms of treatment and healing. Many people want actual solutions to their problems, as opposed to treatments for their symptoms. You may think that this is obvious: who wouldn't want a solution to their medical problem? Well, the truth is that many people don't want to wait for a healing effect to occur, and prefer to just "feel better quickly" with the intent of possibly addressing the actual problem "once they feel better." As you can probably guess, once a patient feels better, they tend to forget about the original problem at hand, and thus it rarely gets "fixed". Just like after a woman has a baby and it takes time to lose the baby weight and for the body to return to it's pre-pregnancy state, in regenerative medicine, there are no quick fixes. In using regenerative techniques, a patient must wait weeks, or even months, before they will see significant results. Regenerative medicine physicians aim to use the body's innate healing capabilities to help promote healing within individuals. These treatments are being used in many fields of medicine, from orthopedics and rheumatology, to pulmonary and cardiac medicine alike. The specific conference that I attended this weekend was about regenerative medicine in orthopedics, specifically. Many physicians gave stimulating lectures on the many applications for stem cells and other regenerative techniques. During the entire length of the conference, all I could think of was, "I wonder what that treatment would look like if I could actually quantify the net treatment benefit with Treatment Scores?" I spent many hours of the lectures just writing down specific studies that I could go back and use for our STAR™ Blocks. It is such an exciting time for regenerative medicine, as the studies that are coming out daily impact how we practice medicine every day. Though I have not yet done so since the conference, please see some of my previous posts on Plasma Rich Platelets, stem cells, or prolotherapy in order to get a good idea about the efficacy of those treatments. And check back to our blog in a few weeks to see newly emerging statistics and research on regenerative medicine procedures that are being performed on a regular basis. See the disclaimers below.